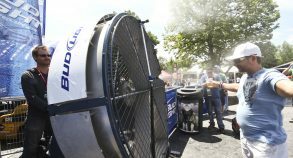 Using a Steel Space 40 unit, we created a unique and impressive bar concept with an amazing Dyson fan wall using 16 bladeless fans to cool visitors down during events. 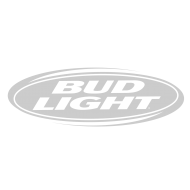 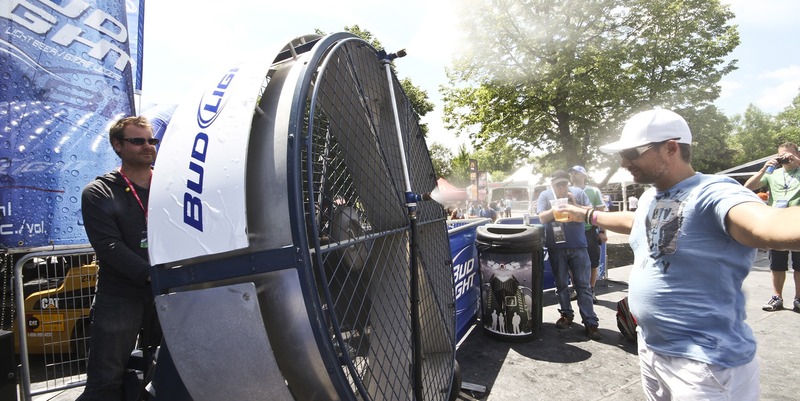 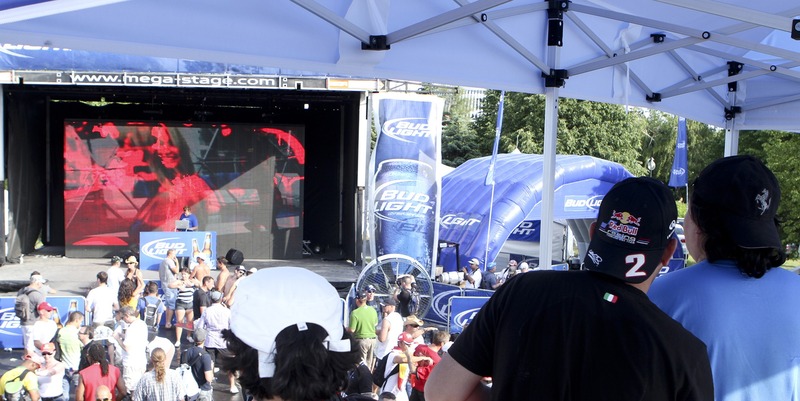 The “Bud Light Cool Zone” was complete with mist machines, fresh air thrown around by the fans and included a VIP lounge on top covered with tents to greet important guests and keep customers in the shade. 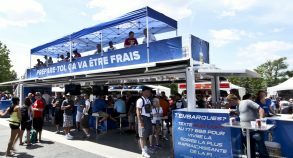 The amazing bar concept with large footprint accommodated an important amount of traffic. 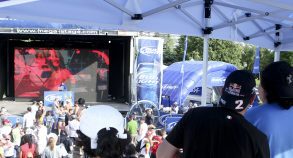 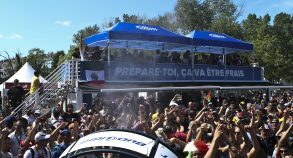 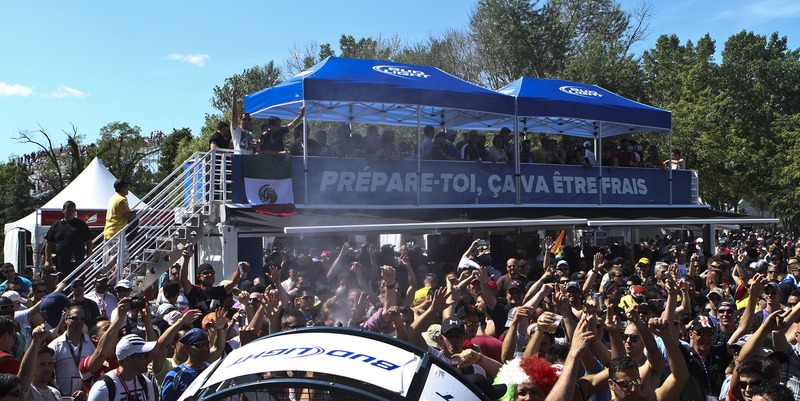 The 4-month tour attracted visitors in record numbers at events such as the Montreal Grand Prix, UFC Fight Night in Calgary or festivals such as Osheaga MTL and the Toronto Festival of Beer. 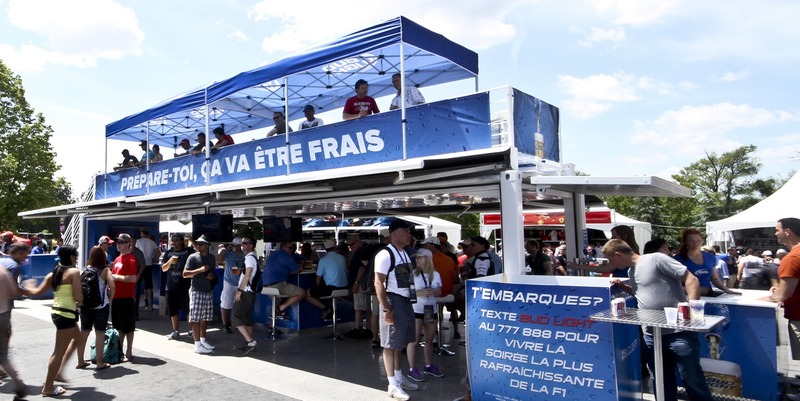 Jam-packed and very popular throughout the whole tour, the unit grabbed attention because of its look, unique accessories and branding but also because of the energy and continuous audio/video enhancements that created an exhilarating experience.